Dimitrios Arvanitis, a PhD candidate in The City Law School, addresses Greece’s important regional and geostrategic role as a natural gas supplier. In recent years, Greece has become a metaphor for unmanageable sovereign debt, political instability, widespread tax evasion and Eurozone currency woes. However, while the Hellenic Republic traverses one of the most challenging periods of its modern history, its role as a key regional player on the natural gas scene has been a cause for optimism. 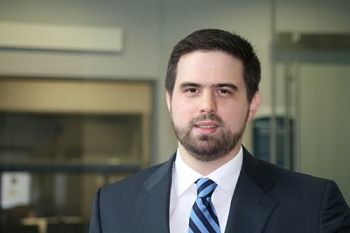 Dimitrios Arvanitis is a lawyer and PhD candidate in The City Law School with strong interests spanning international energy (the oil and gas sector), maritime and transport law. His main area of academic study covers the legal issues pertaining to the offshore oil and gas industry such as contract management, liabilities and insurance, environmental, health and safety regulations and the offshore marine sector. 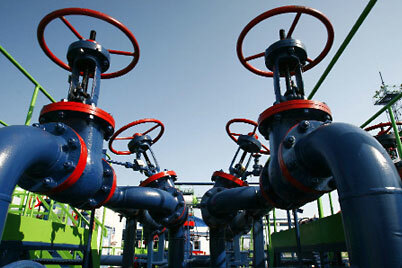 "Firstly, Greece's role in the international chessboard of pipelines becomes critical. The selection of the Trans-Adriatic Pipeline (TAP) as the avenue for EU's Southern Energy Corridor, as well as the pending project for the Greece-Italy Poseidon (IGI) pipeline with the participation of DEPA, is decisive; not only will it support local economies during the construction phase, but also 'locks' this particular route through Greece as the main entrance hub of Azeri gas to Europe." "The orientation of the Greek government to implement structural reforms and open up the energy market and thus enhance competition across the value chain, from energy generation to supply, as well as the attraction of foreign investments directed to energy infrastructure, could lay the foundation for the emergence of Greece as a strategic entrance and trade hub of natural gas in South-East Europe." Dimitrios was awarded an LLB by the National and Kapodistrian University of Athens. He continued his postgraduate studies at The City Law School, obtaining an LLM (Distinction) in International Energy Law in 2012: "Offshore oil and gas safety: Critical elements for robust regulation with reference to the UK, US, EU and Norwegian models". He also holds a distance learning degree from the University of Athens in Environmental Management. Dimitrios's PhD thesis examines the different functions that contracts and contracting strategies can play in the offshore oil and gas services and construction industry. It gives a historical overview of the industry's contractual practices and focuses primarily on the ways in which innovative contracting strategies can transform (standard form) contracts into business tools that can enhance the long term sustainability and profitability of the industry. Dimitrios is a qualified lawyer enrolled with the Athens Bar Association and a teaching assistant in criminal law at The City Law School. Please visit this weblink to read Dimitrios's article in full.